why not book one through us, with the latest sounds and a fully comprehensive back catalogue. We can tailor the music to your suit your evening be it a themed, birthday or anniversary party. Let Black Cat provide you with a DJ and a band of your choice at a discounted rate. Need to arrange a quiz night? Let us organise this for you. We can supply fully contained quizzes and karaoke! Including General knowledge, Odd one out, Jackpot, Sports, Blockbuster & Picture rounds our quizzes are guaranteed fun and enjoyment. 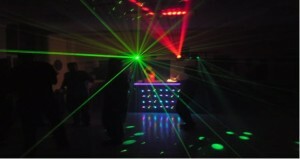 Not only do we provide a quality disco but we are also equipped for a wonderful fun night of Karaoke. So if you fancy getting your guests up for a sing along at a party or something different for a wedding reception please contact us for more details.